Kobo has just sent out a press release which confirms a story from last week. They are indeed launching the Kobo Touch in Japan next month. It's going up for pre-order on Monday with a surprisingly low retail of 7,980 yen (around $100 USD), and it's scheduled to ship on 19 July. And Rakuten (Kobo's corporate parent) is as deeply involved as you might have expected; the ebookstore will be located on the Rakuten website at: kobo.rakuten.co.jp. 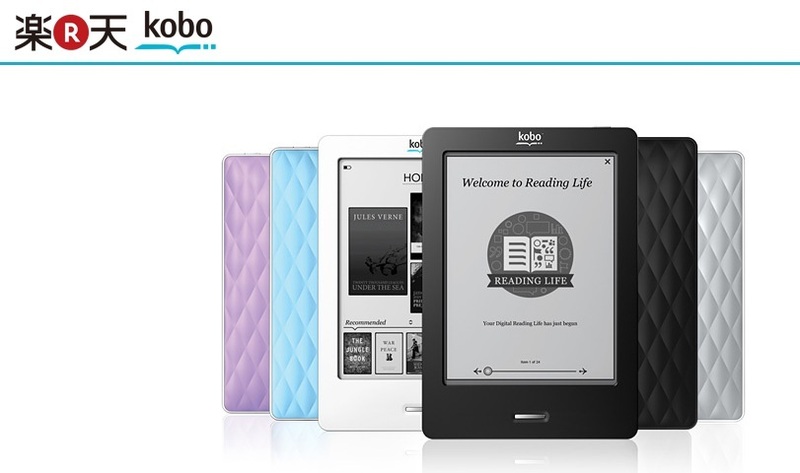 Kobo now sells ebooks and ereaders in 190 countries with content in 60 languages. hey've launched local-language ebookstores (both on their own and with partners) in Australia, the Netherlands, France, UK, Canada, and Germany. Future plans include Brazil. Past plans included Spain, Italy, and Portugal, though those seem to have fallen by the wayside. I'm planning to update this post as more information comes in, but do you know the bigger story here? It's the new Epub3 support. Assuming Kobo pulls this off they'll have gotten a step ahead of Barnes & Noble. That's an even more impressive achievement than beating the Kindle to Japan. Of course, when it comes to Epub3 support Apple beat Kobo to it. iBooks officially got support for Epub3 over a month ago, and it in fact supported the format several months back. This is still a sweet coup over Amazon, but how much do you want to bet that Amazon starts shipping the local Japanese version of the Kindle before 19 July? Your eReader is Watching You – What, Again? Thanks for the head’s up. I knew that iBooks didn’t completely support Epub3, but I cannot read Japanese so I didn’t know how to make sure it worked right. But I’m not so sure if that should be a strike against iBooks. Correct me if I’m wrong, but isn’t vertical text optional in Japanese? Other Asian languages require it, but I don’t think Japanese does. Their choice for vertical is because a lot (most?) existing general books are set in vertical text. I guess it’s cheaper to re-use the texts rather than creating new page layouts. But perhaps a native Japanese writer / #ePrdctn specialist can add some insights here? Some books are written in horizontal text, mostly nonfiction, but for fiction and other literary texts, Japanese readers prefer vertical. I think this can be seen by how they’ve gone through so much trouble to find ways of rendering text vertically. So it’s optional in the language but demanded by the market? Okay. Thanks for clearing that up.